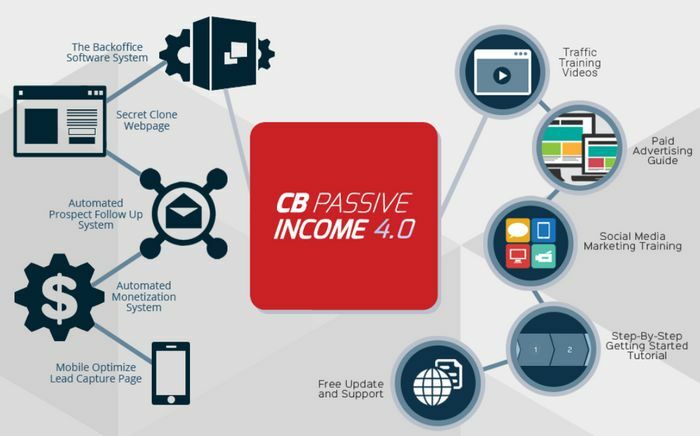 CB Passive Income 4.0 Review: Patric really does Everything for you? →CB Passive Income 4.0 Review: Patric really does Everything for you? 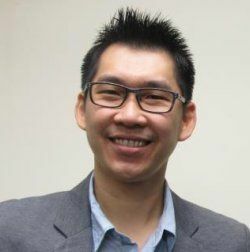 Patric Chan, the founder of CB Passive Income, claims that if you purchase his program, he will do ALL THE WORK for you to help you make money. The only thing you need to do is to give away his prepared products for FREE! What?!! Are you even kidding Patric? That really sounds like an outright scam, isn't it? 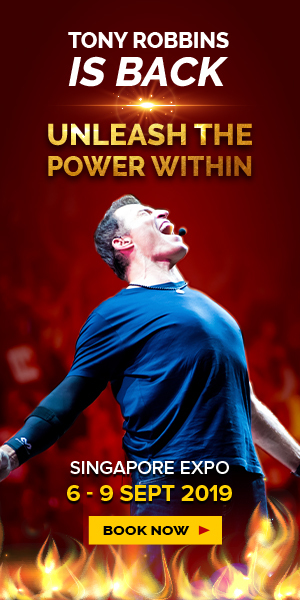 But at the same time, Patric is a renowned best-selling author and international speaker. That's pretty weird. Summary: CB Passive Income is a program aims at helping you to make money via Email Marketing & Affiliate Marketing. However, the whole program has lots of restrictions which I'll explain in this review. It's also over-hyped and doesn't deliver the promises. 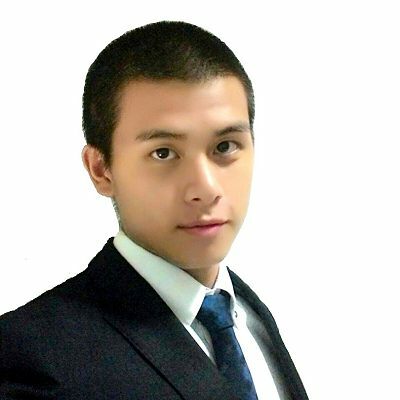 CB Passive Income (CBPI), also known as CB Passive Income License Program, is an Email Marketing product by Patric Chan, best-selling author and international speaker. It's called CB Passive Income because its main goal is to help you promote ClickBank products through Email Marketing and earn affiliate commissions. If you've looked at their sales page, you'll find lots of compelling claims and promises regarding how powerful this program is. Wow wow wow, look at this promise! In fact, Patric is a credible guy if you've read his stories and his testimonials. 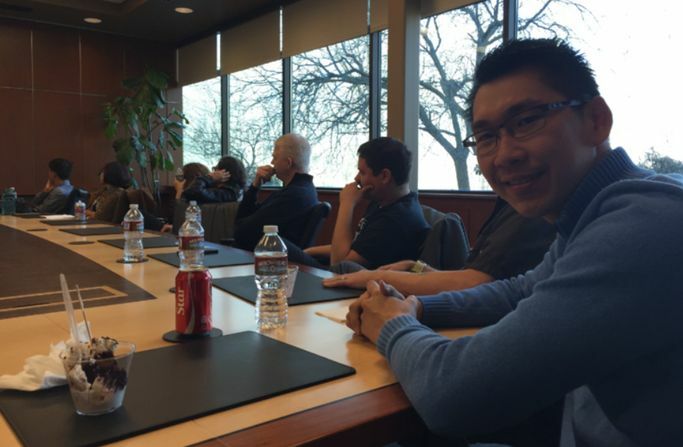 He has been invited to ClickBank's HQ in Boise to meet their top management executive. I'm sure they won't invite a scammer or someone who doesn't know his stuff. Not only that, he has great testimonials from people like Corey Davis, ex-VP of marketing for ClickBank, and Russell Brunson, the founder of ClickFunnels! 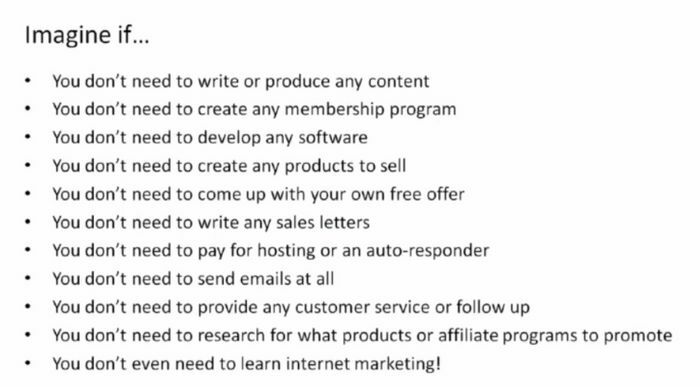 Given all these background, it seems like CB Passive Income should be a really awesome program, shouldn't it? But to my disappointment, it's not. There are strings attached and a lot of details you should know which I'll be explaining to you in the rest of this review. How has CBPI evolved over the years? CB Passive Income was first launched in August 2013. Patric created updated versions CBPI 2.0 in 2014, CBPI 3.0 in 2015 and CBPI 4.0 in 2017. More and more training, tools and resources were added over the years. For example, in CBPI 3.0, they've added multiple landing pages as well as an "AI Optin Detector". What this detector does is basically to identify visitors who have already opt-in to your Email list and it'll show a different landing page to promote other stuffs and monetize it. And in CBPI 4.0, more mobile features were added, such as the Facebook Click-to-Optin feature. It allows visitors to opt-in to your list by just clicking on a button and it will automatically connect with the person's Facebook account. Basically, the person will opt-in to your list using the Email address he or she used to sign up for FB. This is a powerful feature which can increase conversion rate. That's just a very brief walk-through of CBPI's history for those of you who are curious. So, I've briefly mentioned that CB Passive Income helps you build your Email Marketing business and monetize your list by selling affiliate products from ClickBank. The reason Patric claims that he will be doing all the work for you is because his CBPI can be considered as a fully automated tool to help build your business. For CBPI, Patric claims that he'll automate Step 2 to Step 4 for you. So the only thing you need to do is Step 1, which is to drive traffic to your opt-in page (provided by CBPI as well). Patric does everything for you except the hardest part - Traffic! From my experience, getting traffic is one of the major hurdles for many beginners. If you don't have much experience in online marketing and driving traffic, you're gonna suffer a lot here. CBPI does have some training materials to teach you about traffic generation (I'll go through in the next section below), but they're very shallow and rudimentary. You're not going to get any good results by following the training if you don't have any prior experience. So for beginners, I would highly recommend you to start with My Top Recommended Training for Beginners here. How does CBPI help automate your business? CBPI has a set of pre-built opt-in page templates (they call it the Secret Clone Webpage). You will have your own unique ID attached to your own page. Also, they have pre-written Free Gift for you to give away on your opt-in page. Once you drive traffic to the opt-in page and people sign up to grab their free gift, the system will be able to track the subscribers and automatically send them follow-up Emails. After the follow-up Emails, the system will also help you send promotional Emails, with relevant ClickBank affiliate products included, to your subscribers. If anyone bought anything through the links in the Email, you'll earn a commission. But that is only "IF". So after you've driven traffic to your opt-in page, all you can do is to wait and pray, literally! You have no control over the whole process. There are many cases which someone has collected a few hundred Email subscribers but there's no sales. I thought Patric is good at selling? Well, he is definitely good at selling his own products to you. But he doesn't put that same amount of effort into helping you to make sales. So, why do you want to hand over the selling part to another person when you can do it all yourself and have full control over your business? Yes, I'm telling you that you're capable of making money on your own with the help of the right training. The worst thing about letting others to help you make your money is that you lose total control. All you can do is to pray. Now, let me give you some more details about CBPI training, tools and support for those who are curious. Like I've said earlier, the only training provided is about traffic generation. However, they are all very rudimentary. You can finish the training in just a few days time. For some of you, you can complete it in just one or two days. Most of the things you can learn online for FREE so it's pretty useless in that sense. They have some training on the basics of Email Marketing as well but it's the same thing - very general. As for tools, CB Passive Income system itself is the main tool. Once you become a member, you'll have access to their back office where you can get your opt-in page with your own unique URL. Other than this, they've also provide you with a bonus tool called The Digital Cover Creator. Basically, it helps you to easily create professional cover for your Free giveaway. ​They do offer support because they are a real company with a physical office and a team of staff. But you shouldn't be expecting for an exceptional support. What they offer is just a very ordinary kind of Email support. There's no forums or any community build around this product. I want to add this little section here comparing these two products because both of them are very similar. 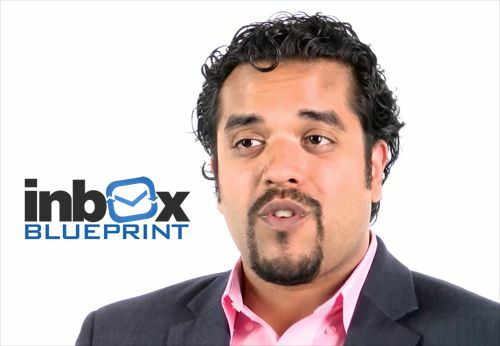 Anik Singal's Inbox Blueprint is also a program that offers Email Marketing training, tools, resources and support. Both of them work in the same way to help you make money via Email Marketing together with Affiliate Marketing. However, I would recommend Inbox Blueprint more than CB Passive Income, despite Inbox Blueprint is a lot more expensive and there's no refund policy. Inbox Blueprint allows you to customize your own opt-in page, follow-up Emails and also allows you to promote any product of your own choice. Simply put, Inbox Blueprint allows you to use their tools and training to build an Email Marketing business for any niche. However, you are very restricted with CB Passive Income. Firstly, you can only promote ClickBank products. And Patric claims to do all the work for you, including sending of promotional Emails. This also means that you have no control over what products you are promoting to your audience. So, I'm sure the winner here is pretty clear. Check out my full Inbox Blueprint review here! CB Passive Income 4.0 offers a 60-Day 100% Money-Back Guarantee which is pretty awesome because you have nothing to lose. Just take note that some ClickBank products may refuse to give you a refund even if you request for it. For this kind of Money-Back Guarantee, they'll most probably give you the refund if you give them some legit reasons. Like I've described earlier, Patric knows his stuff and he is pretty credible in the internet marketing world. 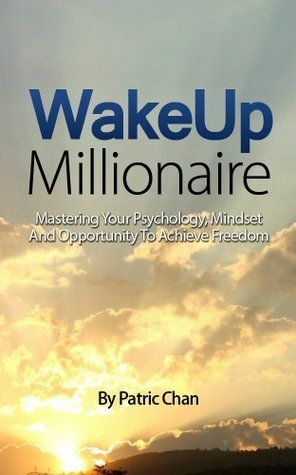 In addition to those awesome testimonials, he's the best-selling author of WakeUp Millionaire. 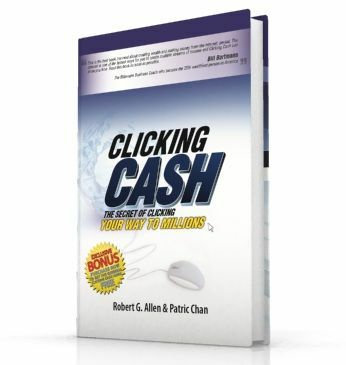 He has also co-authored a book called Clicking Cash with Robert G. Allen, New York Times best-selling author. Patric has been in the internet marketing world for more than a decade and in fact, Russell Brunson and him are long-time good friends. One of the major advantage and selling point for CB Passive Income is that it is backed by Patric's amazing credential. Seriously, if you look closely at CBPI's sales page, you'll find that Patric is trying very hard to create a lot of hype. The only thing you need to do is to giveaway his free gift! He will do all the work for you for FREE! However, like I've said, he has left you with one of the hardest parts and that is traffic generation. He made it sounds so simple but when you actually join the program, you'll start to realize it's really not that simple. Like I've explained earlier, you have literally no control over your business, except traffic generation. You can't build your Email Marketing business in any niche of your choice and you're restricted to only sell ClickBank products because that's what Patric promotes. 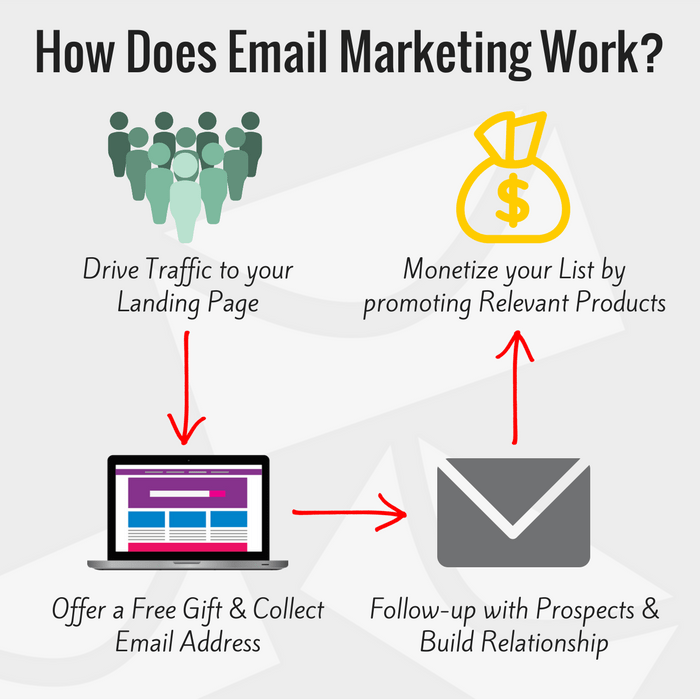 Once again, Inbox Blueprint is my top recommendation if you are looking for Email Marketing program because it allows you to build business in any niche and it allows much more customization! Although they promise you that you don't have to pay for any hosting, domain names or autoresponder, the cost incurred in traffic generation is the hidden cost. 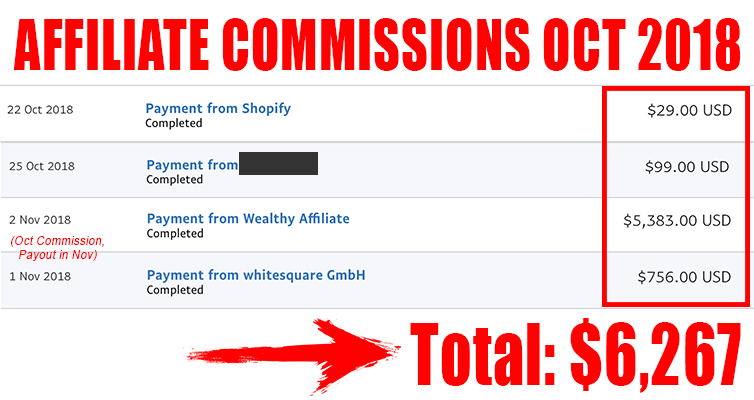 It's really hard to get free traffic if you don't have any existing online business of your own. So paid traffic is the only option. Since all the opt-in pages, Email templates and free gifts are pre-built by Patric and his team, all the members will have access to the exact same resources. This means that Search Engine Optimization (SEO) is impossible because all the opt-in pages are actually duplicate content. Also, all the resources lack personal touch because they are all created by default. Without personal touch, it's hard to build relationship with your subscribers. And people are quite unlikely to purchase things from people they don't trust. There's an optional upsell when you check out for CBPI 4.0 which is called Origin Builder. 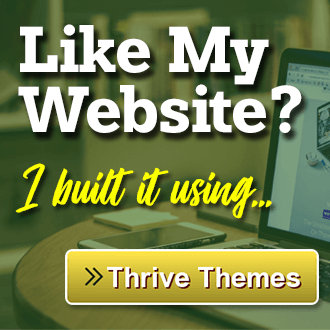 This is just a website page builder like Thrive Architect. Origin Builder costs $37.80 but this upsell has no additional value to CBPI because it is not relevant at all. CBPI has already promised to set up everything for you including your opt-in page, what's this page builder for? They claim that you can own your list because all your subscribers will be kept in your member dashboard. However, you cannot do anything much with that list. Only Patric has the full control and all the Emails will automatically be sent by Patric as well. Only if you have your own Autoresponder, then you can import the list to your own Autoresponder and follow-up with them. But what's the point of purchasing CBPI when you have your own autoresponder and you can do your own Email Marketing? Is CB Passive Income 4.0 a Scam? 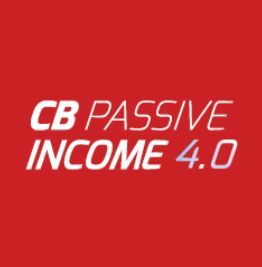 Nope, CB Passive Income by Patric Chan is not a scam. Patric does offer some helpful tools and training (despite quite shallow). Not only that, the price is not very expensive and he offers a 60-Day Money-Back Guarantee. However, whether this can become a decent passive income stream for you is another story. If you don't have any experience in online marketing and driving traffic, most likely you'll get stuck and not earn anything much. 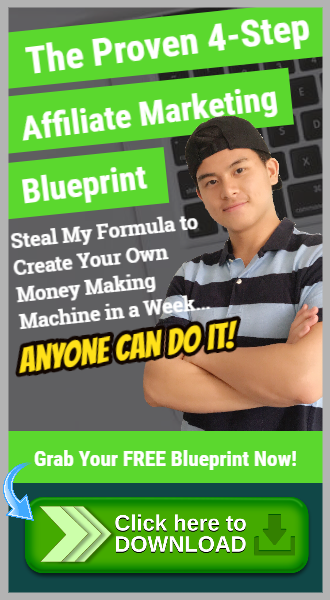 Once again, if you want to make money from Email Marketing, I'll recommend Anik's Inbox Blueprint instead of Patric's CB Passive Income. Thank you, Sir, For this review, I think you are right about CB passive income. 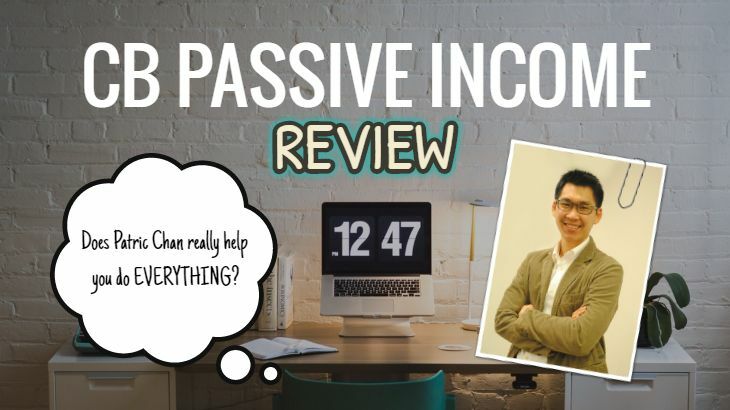 I have been reading many reviews on this system because when I saw a different thing called “the passive income system”, only CB system comes up. Anyway, it’s good to know what to look out for… with ANY system, I guess. I agree with you, what’s the point of buying the system if you have an email autoresponder to build your own list anyway? I guess it could help to learn a bit about the email marketing stuff from him if you’re new to it…but other than that, I wouldn’t pay $47/mo for it. I just came across your review. That was a great review of the CB passive Income. However, I do want to point out that it is actually a high converting product on ClickBank. You can even look at the stats page on ClickBank. Not to mention, Click Bank has done a lot of “filtering” to their digital products, and so CB is not as “Bad” as you made it sound LOL. It just needs a bit of updates, which will be coming soon with CBPI 5.0. Thanks for stopping by and leaving a comment! Yes, I’m aware that this product converts quite well on ClickBank. I’ve seen the stats. But in my opinion, having a high conversion rate doesn’t mean this product is good. I’ve done quite a lot of reviews for ClickBank products. What I found is that despite CB has its own filtering system, there are still a lot of low quality product on the platform. This is really disappointing. That’s why I had that conclusion for Patric Chan’s CB Passive Income. Does that make sense to you? I hope you get my point here. Thank you for the honest look into this. It’s great to see that there are legitimate business out there but you have also shown that this is not the greatest opportunity in the world, even though, Patric has great credentials. The lesson we could learn from this is that not all the products created by credible people are reliable. We still have to do our own research, instead of just blindly purchase it. It is really sad to see that a guy like Patric, that really knows his stuff, didn’t create his program a little better. If his goal was really to help people make money with his system, he could have included a complete training for traffic generation or at the very least, recommended an option for training. It seems that his concern was more about taking money upfront and not really the success of his customers. He is more about taking the money upfront. You can clearly see that in the way he created the pricing options for CBPI. Who will pay a $47 monthly fee when they can get the entire thing for just $97 one-time fee? It’s very obvious that he wants people to just grab the $97 package so that he can earn that money straight. Thanks to your review. I know that I can better invest my money somewhere else. Awesome Fabian! Glad you like it and thanks for your comment! Great Review. I am right there with you on the duplicate content, that’s what came to mind when I read this. I want control over my business. What happens if he sends out something unethical? I would be responsible since it is my business. This guy sounds very credible but unfortunately he is not in business to really help you learn and earn, but more to help you spend your money. If you purchase this system, you’re just spending money upfront and pray that Patric will do his job. You learn very little throughout this process. One weird thing I found is that CBPI is one of the very popular product on ClickBank. Seems like a lot of beginners are drawn into his good-looking credentials and well-planned marketing strategy. This is a very interesting review. There is certainly a lot of things that sounds too good to be true. But like you have pointed out this guy is highly respected by some of the biggest names in the online world. So I guess he does have something to offer except for a few wrinkles that need to be ironed out. Yup, you got the point Norman! Thanks for your comment!